The Australian Catholic Disability Council has launched a new website to help ensure people with disability can prepare for and participate fully in the sacramental life of the Church. Bishop Terry Brady, Bishops’ Delegate for Disability Issues, said the website is an extension of the Australian Catholic Bishops Conference’s foundational document Celebrating the Sacramental Life from Birth to Death: Guidelines for the celebration of the Sacraments with People with Disability. The website will help the Church better understand how it can support people with disability, he said. “Our Church is a Church that’s called to be welcoming and inclusive to all. This website gives parishes, schools and families important information so they can answer that call,” Bishop Brady said. He said people, including priests, pastoral workers and teachers, who don’t have experience supporting and walking alongside people with disability are sometimes anxious or unsure about how to best support their faith life. “If someone hasn’t had much exposure to young people living with autism or a young adult with Down syndrome, they can often be cautious and, despite the best intentions, struggle to adequately feed their faith,” Bishop Brady said. 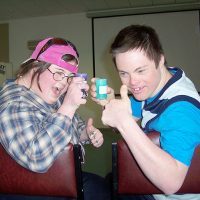 “We are called to be inclusive parishes and schools and communities that warmly welcome and acknowledge people with disability and their families on the journey of faith. Sr Myree Harris RSJ, chair of the Australian Catholic Disability Council, said just as the broader society has made progress in how it provides opportunities for people with disability, the Church has been doing the same. 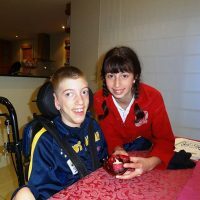 “This is a large step forward in supporting people with disability in their participation in the Mass and in accessing the sacraments, but much work is still to be done in this area,” Sr Myree said. Trish Mowbray, disability projects officer for the Bishops Commission for Pastoral Life, said the website draws on local and international content and, for the first time, provides a suite of materials in one place. It includes general principles for supporting people with disability, as well as specific documents for preparation and celebration of individual sacraments. She acknowledged the generosity of those who developed the resources in allowing them to be used on the website and shared more widely. This entry was posted in Uncategorized on March 23, 2018 by ACBC Communications.